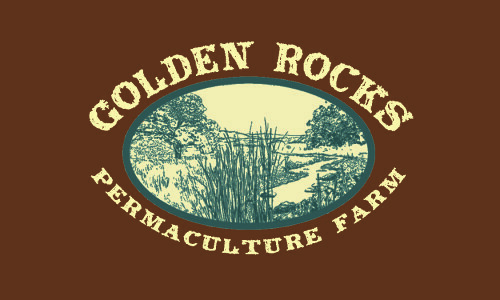 Golden Rocks Permaculture Farm seeks to promote the concepts of Earth Care, People Care, and Fair Share. We are passionate about the abundance of nature all around us, and look for ways to share teachings that afford all peoples an opportunity to live richly, working with the earth to manifest solutions for our basic needs. We are excited to offer Cob House workshops!! Specifically geared towards affordability, our workshops aim to provide students with the confidence, knowledge and community support needed to realize their own affordable passive-solar home. Golden Rocks Permaculture Farm offers a private room, a bunk room, and private and group camping spaces. Our workshops participants are nourished in first-class style, with fresh, local organic meals from the massive Golden Rocks market garden, here on the property.